How do I use a proofing basket? 1. Where do I buy proofing baskets? 2. Do I bake in the proofing basket? 3. How do I make sure my bread does not stick in the proofing basket? 4. Do I have to clean the proofing basket? 5. How do I clean my proofing basket? Let's start even before the first question. 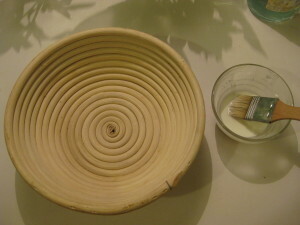 Proofing baskets have been used for probably thousands of years. This is simply because we could weave, shape things with reeds and grasses, mould clay and turn wood long before we could forge metal and shape it into bread tins. 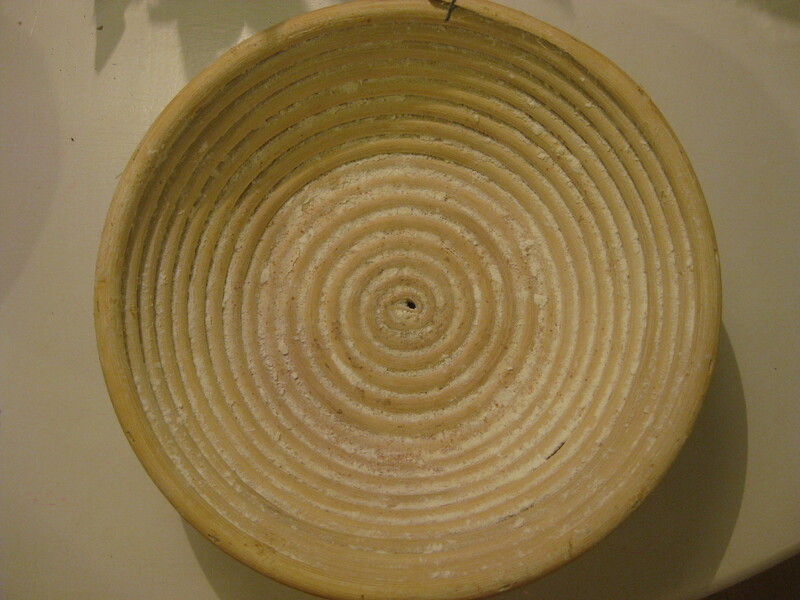 So, for those bakers who felt like they wanted to proof their bread in something (as opposed to freestyle, like ciabatta, cobs, baguettes, buns, or countless other loaves) they had to make due with what they had around them and this was usually baskets made of woven materials or bowls made of clay, stone, or wood. Why did they want to proof something in a form? I cannot tell you. A form gives a particular shape and can leave a pretty pattern, that is for sure and, in industrial baking, a rectangular form marches through a production line with no wasted space and turns out a uniform product - which is what the industrial bakers are looking for. To that extent, rectangular loaves are very very modern and, until about five years ago were virtually the only shape we could get in the UK. Now they are relegated to the industrial bread aisle at the supermarket and loaves of all shapes and sizes are widely available. How times change! Bread like this is everywhere now! Answer 1: If you are interested in proofing your bread in something other than a bread tin, the first thing you can try is free form shaping. Cobs are not proofed in a tin. Ciabatta are not proofed in a tin. Most bread rolls are not proofed in a tin. Before you buy yet more kitchen stuff, give these a try. If you are still keen, you can buy proofing baskets at good kitchen stores, industrial restaurant and bakery supply companies and online from Amazon. 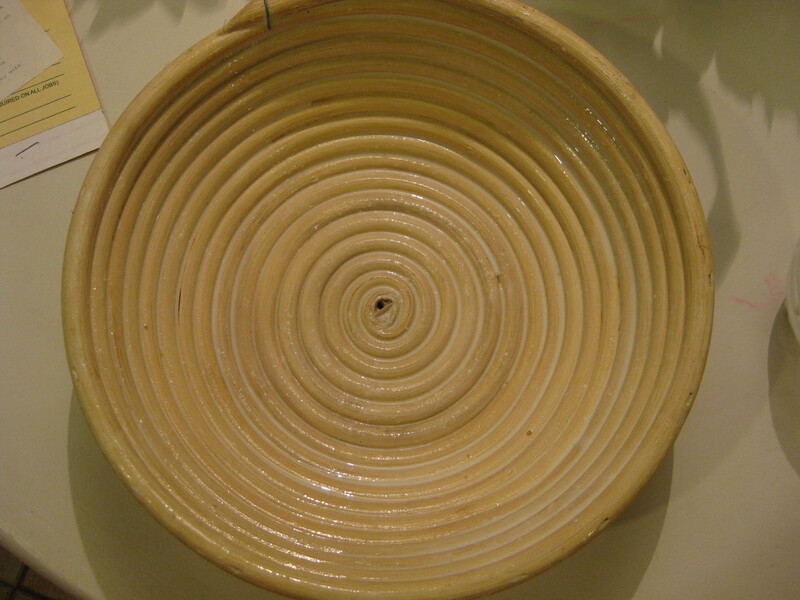 Search online for "prooving baskets", "proofing baskets" or "bannetons". Prices vary enormously and look at sizes carefully before you buy. Answer 2: You do not bake your bread in the basket. You put your bread in upside down into the basket to rise and then you turn it over, depositing the bread gently on to a baking sheet that you have lined with non stick parchment or coarse polenta or semolina so it won't stick. Then you put the baking tray in the oven. 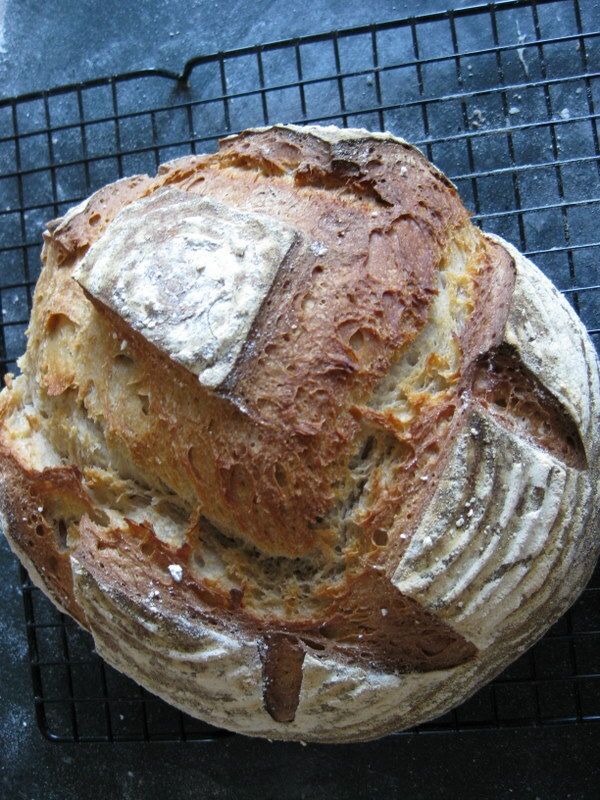 There is a knack to shaping bread so that it maintains its shape in the baking process and it just takes practice. If your bread flattens out or kind of explodes or develops middle age spread in the oven , don't worry about it. These may indicate you bread has over or under proofed or they may indicate weakness in the shape. A little more practice getting your dough into a really tight ball or sausage before you put it in the rising basket, and a little more experience judging the dough's rise will help. Answer 3: There is always a frisson of danger when it comes to turning your dough out of the basket. Will it stick or won't it stick? You don't want it to stick, or you ruin the shape and crust of the bread and let all the air out as a result. To ensure your bread will not stick in the basket you can do the following. Do all three steps, not either or! 1. Season your basket before you use it. To do this, make a thin paste of corn starch (corn flour) and water by mixing about 1 Tablespoon of corn starch and 1 Tablespoon of water together well. Using a paint brush or a pastry brush, thoroughly coat the inside of your basket. Let it dry completely and it is ready to use. 2. Lightly dust the inside of the basket before popping the shaped dough in it. 3. Lightly dust the shaped dough before popping it in the basket to rise. 4. 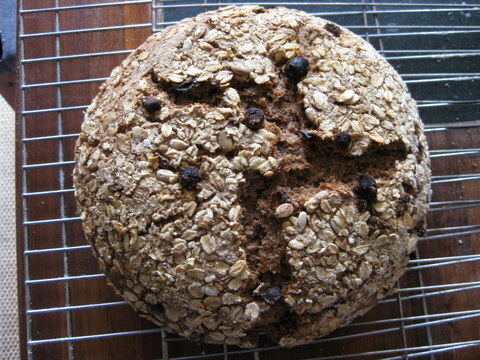 If you have a super sticky dough - one with a high rye content, for example - shape the dough and then roll it around gently on a plate of seeds or rolled oats, thoroughly coating it and then nestle it in the basket. The point is to form a barrier between the dough and the basket. Answer 4: You do need to clean your baskets once in a while otherwise little creatures will appear which is not a surprise because bits of flour and dough always remain in the basket. Answer 5: To clean the baskets, scrub them out with a wire brush and hot soapy water. Once scrubbed, rinsed and thoroughly dry, season your basket again with the paste of corn starch and water and let that dry and you are good to go. If baskets are not for you, don't worry about it! Here at the global HQ of virtuous bread we have baked bread in all sorts of things ranging from flower pots to cast iron pots to bundt tins. A square bread tin has its very important place too that goes beyond shape. When you are working with the really wet rye doughs or baking gluten free it's impossible to proof your bread without a tin. Naturally you will get a square loaf when you proof your bread in a square tin. If you want square sandwiches you need to have a square loaf. If you want evenly sized soldiers for your eggs you will need a square loaf. If you love square loaves, you should bake square loaves. If you love round loaves, you should bake round loaves. If you love organic looking ciabatta style loaves, you should bake them. First rule of bread: bake what you love to eat and eat what you love to bake. Second rule of bread: Everything is good toasted even if it's ugly. 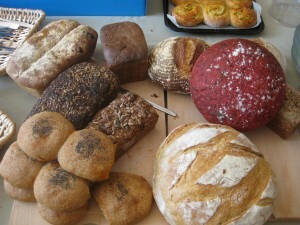 Want to learn more, come and take a baking course with us and have all your questions answered! If you know someone who loves to bake bread you can buy them a gift voucher and enjoy their bread baking even more! It really helped and answerd all of my questions! Thanks! Love your suggestions. But can you tell me how to maintain the liner in the basket? Thank you again. I don't put liners in my baskets. From the ones that I have seen, they are sewn to the basket so that they stay in. Can i proof any kind of bread in a proofing basket? And if not what kind of bread doughs dont use a proofing basket? What kind of doughs dont use a proofing basket? Plenty! A proofing basket is just one option - you can also bake in a tin, a ceramic mould, a glass mould or free form. Ciabatta and baguettes, for example, are proofed on a cloth or tray and then baked - no container for proofing. Yes you can if you would like it to assume the form of the basket. Much wetter doughs (ciabatta, for example) won't work well in a basket (they will stick, and flatten horribly when you turn them out) and if you put rye dough in you have to make sure it's well floured so it does not stick. Is there a minimum or maximum amount of dough I should put in my proofing basket? For example, one that's says 750g dough, is that just the recommended amount and I can put less than that in the basket? yes you can put less dough in the basket - or even line up bread rolls in the basket (they will glom together when you rise and bake them) - a smaller amount of dough will just be a smaller loaf. Thanks a lot answered all my questions. I'm a newbie to bread baking and these tips are SO helpful! Found a used copy of Paul Hollywood's 100 Great Breads which put me in my beginning comfort zone as well. Not sure where you're located--I'm in CT but your classes sound great. Thanks for your advice! Great article, and so well written! It answered all of my questions succinctly and with good humor. Thanks! Thanks so much for the great advice, so excited to try my first loaf of sourdough! Wonderful article, very funny too!